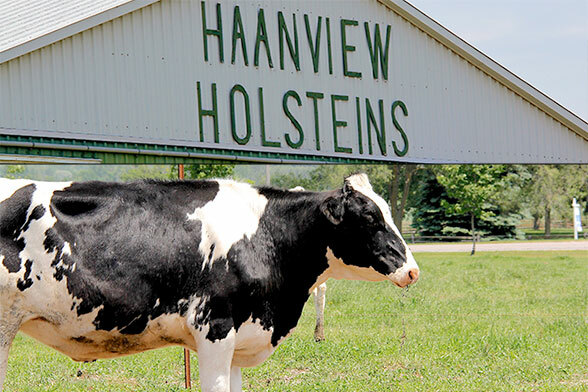 I simply must dedicate this review to “The Ladies”; the happy Holstein cows that are the inspiration and driving force behind Sheldon Creek Dairy. These beautiful bovines are fundamentally responsible for the dairy goodness that stocks my fridge. It is the amazing milk that these gentle creatures produce, which is used to make the products that have created a strong following and a well-recognized name for Sheldon Creek Dairy. This is multigenerational family farm who welcomes visitors to their onsite store, seven days a week. 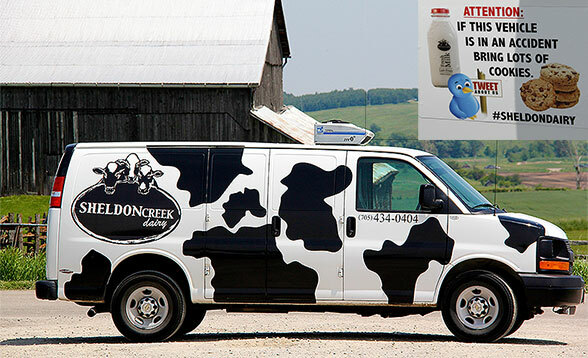 Can’t get to the store, no problem, with two Holstein painted vans making deliveries three days a week, your calcium boost can be purchased in local stores, grocery stores and specialty shops. It is the quality of the milk that makes the Sheldon Creek Dairy products so delicious and healthy. The technology used is classic; the raw milk is pasteurized for mere seconds, it is non-homogenized and as a fresh product, the cream will rise to the top and separate, where you can scoop it off to use as cream or shake it into the bottle for a full rich flavour. Yes bottles, glass bottles, these keep the milk colder, are kinder to the environment and provide the nostalgic kick that often inspires shoppers to take some home to try. The milk is appreciated by raw milk fans, is often well tolerated by the lactose intolerant and wee babies, it is amazing in your morning coffee and the flavours are a great post work out electrolyte replacing treat. This whole fresh milk is used for all the products Sheldon Creek Dairy makes. The product line includes; original white, dark chocolate and the newest addition is strawberry. While all their dairy products are natural, Marianne of Sheldon Creek Dairy, explained to me that the strawberry does include some artificial additions as it is not possible to present the perfectly pink strawberry flavour without helping nature along. The yogurt flavours are wonderful; I adore the vanilla, and the raspberry maple is extraordinary. Original Greek yogurt is offered, as is sour cream. Feta cheese and cheese curds are also available and during the Christmas season, Sheldon Creek Dairy makes the best eggnog you will ever taste, with or without a shot of rum! New product development is a priority for Marianne; soft serve Greek style frozen yogurt has just launched, with classic vanilla and strawberry flavours. You will have to drive to the farm to try this one, as of yet it is not available in stores. I was fortunate to attend the 2nd annual Sheldon Creek Farm day recently, an amazing afternoon which showcased local products and producers at the farm, gave visitors a chance to meet “The Ladies” and get first hand knowledge of a working dairy farm, this opportunity is available year round to groups, school tours and families. What an amazing experience to share with your kids! 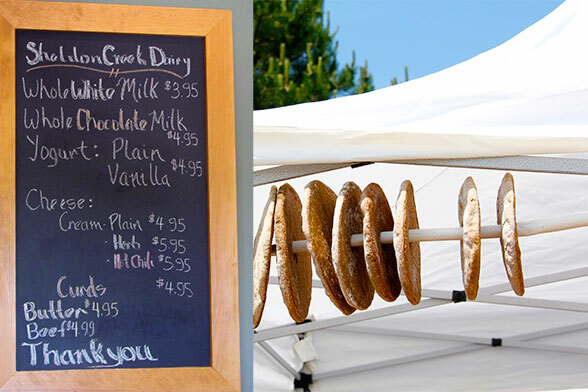 they educate as they shelve and stock sellers fridge’s, they provide tastings and attend local community events. I asked Marianne what message she would like me to pass on to my readers, her passion for Sheldon Creek Dairy was evident when her immediate response was to say, “Try this, go outside your normal routine and try something real. Help your local economy with your purchase, educate your family and introduce your taste buds to wholesome milk and dairy products. Educate yourself on what you eat, speak to the person who grows your food. We consider ourselves environmental stewards and we are producing great products, people just have to try it to see the difference”. Marianne shared her five year goals for the dairy with me, and while I am sworn to secrecy, for now, I will share the news once she gives me the nod to do so. I am so excited! Sheldon Creek Dairy milk is real, not re worked…this milk will sour if left out, as it is supposed to. This is milk as the cows made it; this is my favourite moo juice!